Our mini ten-pin bowling alleys don’t require a change of shoes and have been scaled down with smaller-sized bowls suitable for youngsters while still presenting a challenge for all. 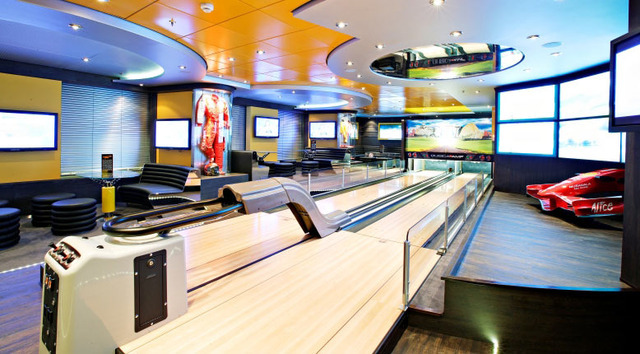 Large screens with animated Ten Pin Tour and Turkey Shoot complete the ambiance! Fabulous entertainment and activities to suit all ages and lifestyles in stylish, elegant settings. 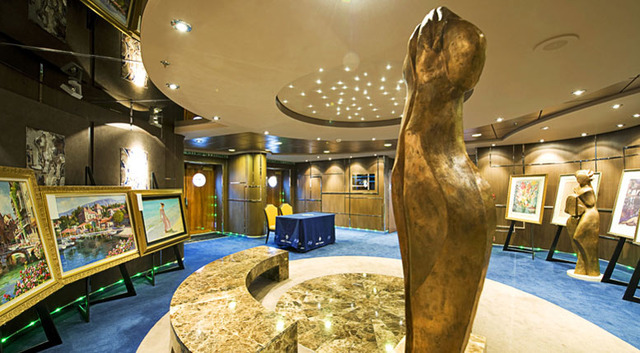 Theater productions, cabaret shows, musical performances, sports tournaments, karaoke nights and so much more await you, for a cruise marked by fun-filled days and thrilling nights. A cruise is the opportunity to relax, unwind and…why not to learn something new? 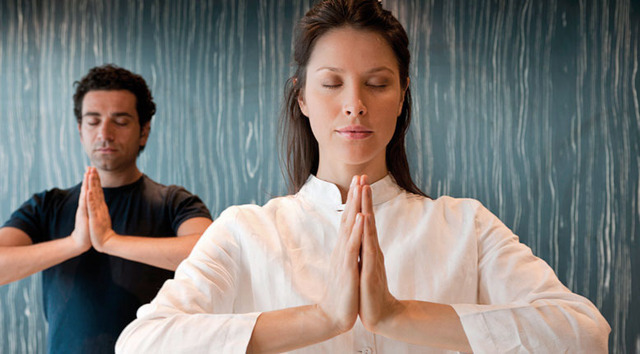 Many of our cruises offer classes in the arts, yoga, cards, dance or language lessons so you can truly expand your mind as you broaden your horizons. 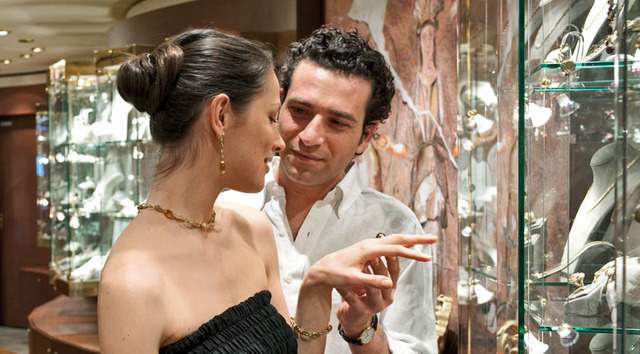 During the day, utilize the spa and health center, cinema, duty-free shops and a bowling area. At night, a thrilling casino, live bands, nightclubs (and a disco for teens), Broadway shows, and world-class musical performances take center stage. Onboard art auctions are a fun form of entertainment; from fine prints to lithographs, water colors and oils, our professional auctioneers welcome you with a glass of champagne for a fun afternoon of bidding and bargain hunting. Why not view, bid and learn about some of the most unique works of art of this century. Simply raise your hand to bid on a range of artwork by International artists, which are charged to your onboard account and shipped to your home from our fulfillment center. 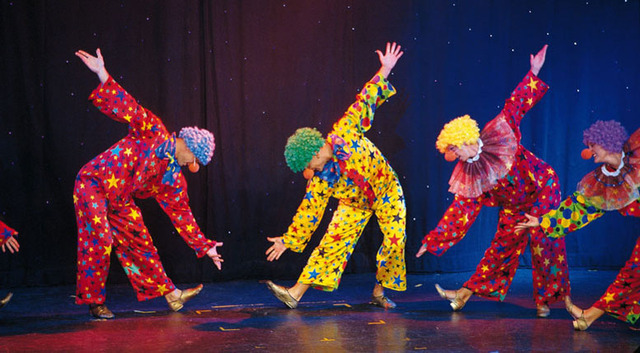 Where originality meets talent; a dazzling extravaganza of shows all in one vacation. 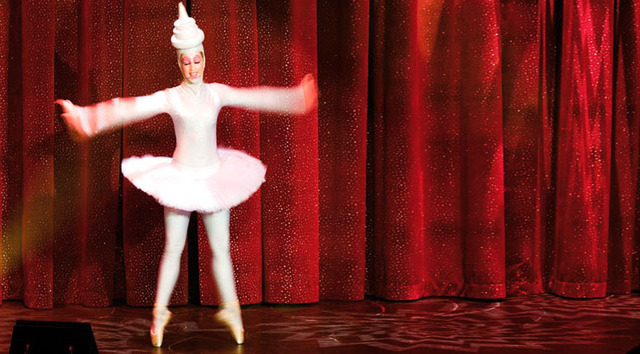 Our theater provides a truly magical ambiance for our own unique brand of surreal theatricality and outstanding world-class performances each night. Quality entertainment for quality cruising. 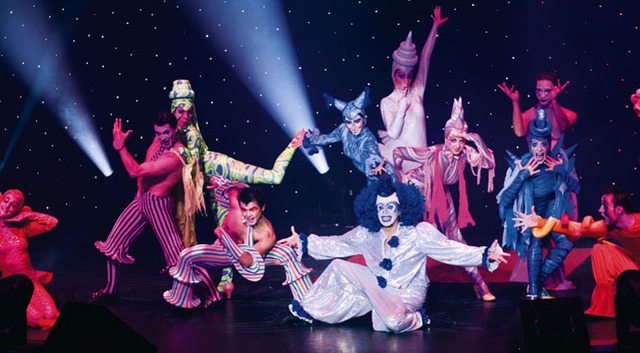 Look forward to shows every night to suit every taste from old-style variety, popular opera and acrobatics to classic pop and sensual dance performances. Complemented by special effects and dynamic staging, you’ll be calling for an encore. A richly talented international cast of singers, dancers and acrobats will create moods from the mythical to the ultra-modern. From French illusionists to Italian tenors, this is where quality steals the show. Have fun all night & Rien ne va plus? 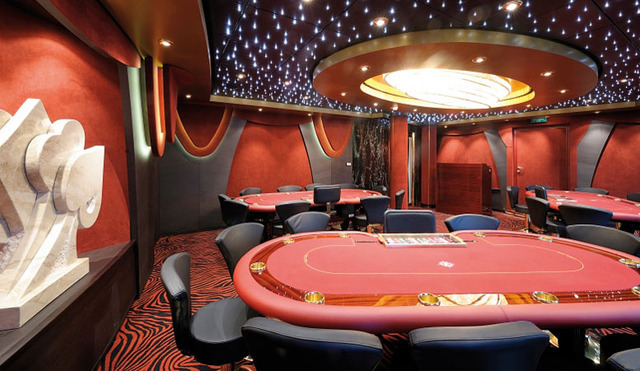 Enjoy a game of Roulette at the casino or try your hand at the popular ‘Trente et Quarante’. Have fun with Poker, Black Jack and slot machines, all in chic surroundings, or choose to dance ‘til dawn in our fashionable nightclubs. Round off a great day’s sightseeing with a fun night out. In sleek, stylish surroundings with the night skies sailing past, you can party ‘til dawn as our skilled DJs spin your favorite tracks and the spirit of celebration fills the air. Step inside and soak up the atmosphere. 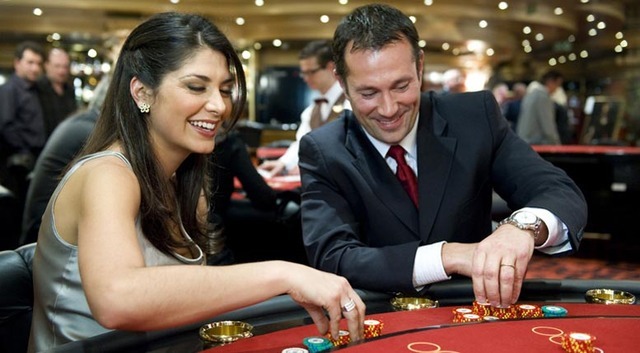 Whether you’re a novice or an old hand, we have cards rooms dedicated to the world’s favorite card game including Texas hold ‘em, live games, tournaments as well as (international) Bingo. 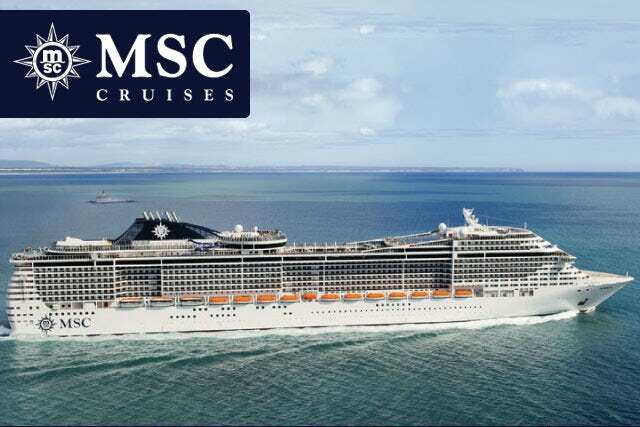 A truly modern company, MSC Cruises moves with the times. 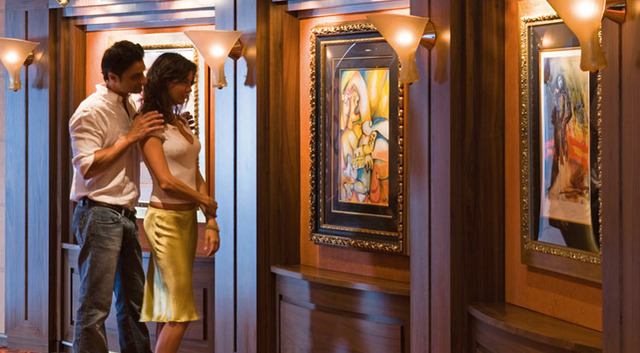 This ethos is reflected in our cutting-edge onboard entertainment. 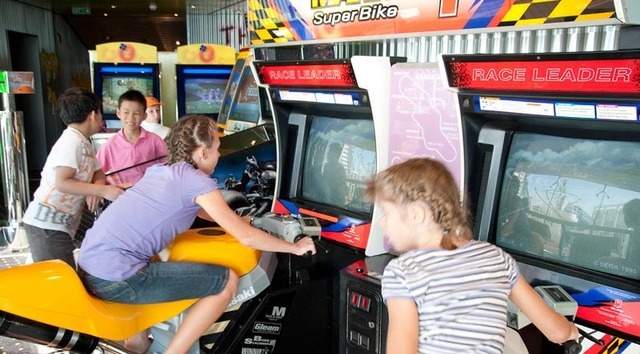 A fun, young spirit permeates our onboard games and arcades such as the Formula 1 simulator, 4D cinemas and state-of-the-art sports consoles. 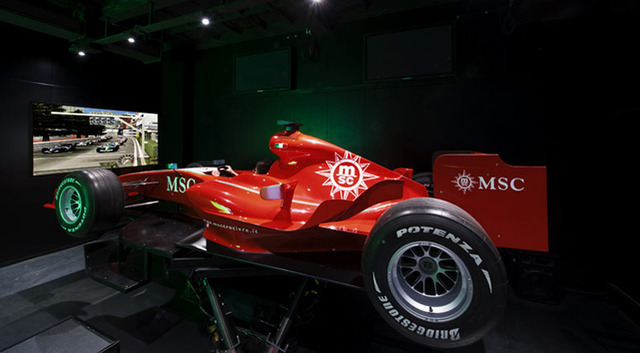 Try your racing skills in our high-tech Formula 1 simulator. Step into the sleek, powerful body of a Formula 1 car as you live out the thrills of a fast-paced race thanks to the superior onscreen track. 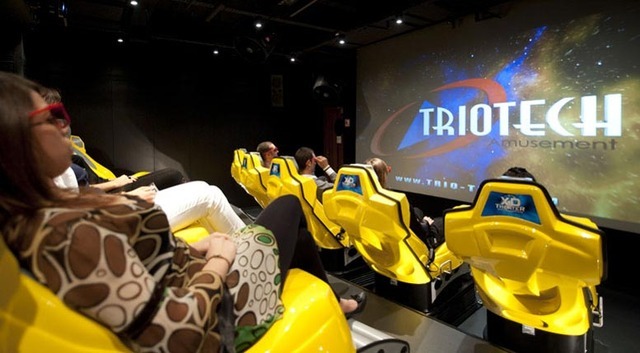 A 4D cinema takes the thrills of film to new heights, enhancing our sensory perception and creating a ‘virtual reality’. Another example of our commitment to the latest technologies. Join us for a movie that will literally move you!